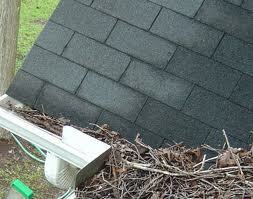 Gutters: Now that all of the leaves have fallen, have your gutters cleaned and inspected. Ask the technician to change flood lights while he is up on the ladder. Estimated cost is $100-$125 for an average house. I use Clear Touch Maintenance here in Atlanta. Downspouts: Check to make sure all downspouts are directing water away from your house’s foundation. Roof: Visually evaluate your rooftop (from the ground) to check for any compromised shingles or tiles. It’s important to take care of any damage now to avoid repairs that grow more costly with the passage of time. Call a professional roofer for further evaluation if warranted. Water Pipes: Turn off exterior faucets and cap with insulated spigot covers. Remember, that on the coldest of nights, keep cabinet doors open and a small drip going in all faucets, particularly in the basement. Sump Pump: Test your sump pump by pouring in 3-4 gallons of water. Chimney: Check that chimney and vents are clean and in good repair, which will prevent chimney fires and prevent carbon monoxide from entering your home. Appliances: Clean kitchen appliances inside and out, including refrigerator coils. Drains: Maintain clean drains by adding one-half-cup baking soda followed by one-half-cup white vinegar. After 10 minutes, flush with boiling water. Trees: Trim trees and remove dead branches so they don’t damage your home or injure someone if they fall because of ice, snow or wind. To stay current follow me on Twitter, and Facebook. Also check out my Pinterest page on home maintenance and cleaning.